The purpose of fly fishing is to convince an unsuspecting fish that the artificial fly you have cast onto the pond is food and not bait. Doing this successfully requires skill, patience, and the ability to efficiently wield a fly fishing rod in Montana. 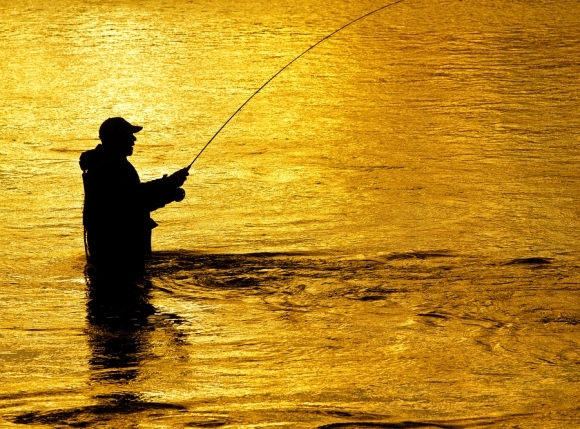 Here is a brief look at a few different ways that you can hold a fly fishing rod. Along with your artificial flies, your fishing rod is the most important part of your fly fishing gear. Before you embark on your next Smith river fly fishing trip, brush up on the different grips that you can utilize. The golf grip is a simple grip that resembles the way you would hold a golf club: Curve your fingers all the way around the handle and wrap your thumb the opposite way, resting just above your other fingers. Those who find it comfortable tend to prefer this basic grip. Others may prefer a slightly different grip in which your thumb is pressed against the rod rather than wrapping around to your other fingers. There are a number of other grips that you can use once you feel comfortable; the best option is to try them all out and see what works best.